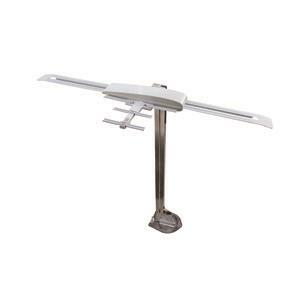 Winegard has taken the powerfully performing Sensar III antenna and integrated it with the UHF enhanced Wingman antenna for the ultimate in over-the-air TV viewing! Optimized for the new DTV spectrum, this amplified antenna receives all available VHF/UHF channels so you can enjoy watching all your favorite local programs while parked. 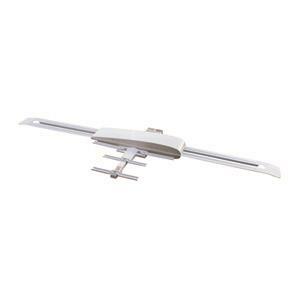 Raise, lower and rotate the antenna with hand crank from inside your RV.